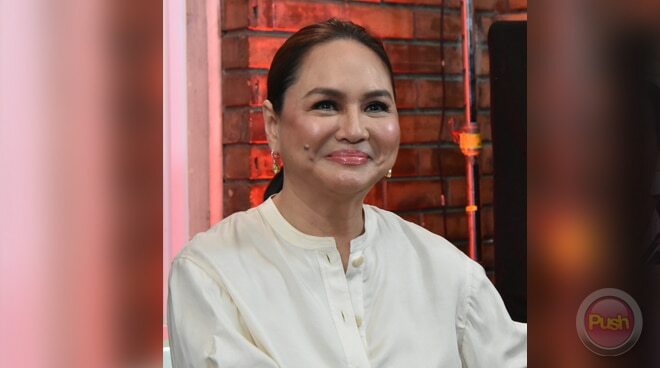 "Paminsan-minsan kailangan ng excitement sa buhay" was Eerie star Charo Santos’ response to the viral Facebook post of a netizen asking to remove the said movie’s trailer on ABS-CBN’s evening timeslot. A few days ago, a netizen's post asking ABS-CBN to stop showing the Eerie movie trailer on television at late-night went viral. During the blog conference that happened last Saturday, March 23, Charo also joked about the viral post and said, "Paminsan-minsan kailangan ng excitement sa buhay." "Ang alam ko mayroon din mga empleyado sa ABS-CBN - naka-loop kasi yung trailer [video] sa [loob ng] elevators. May ilang empleyado na nag-email sa HR head na kung pwede, i-pull down ‘yung trailer kasi pag umuuwi sila ng hatinggabi na [natatakot]," she added. In the movie, Charo plays the role of Mother Alice, the Head Mistress of an all-girls Catholic institution, who will be in conflict with the curious guidance counselor Patricia, played by Bea Alonzo. "We all worked very hard on this film. We're praying for the best. I wanna say that I'm very, very proud of this film. Sana magustuhan din ng ating Filipino audience," Charo told the press. Eerie will be showing in local cinemas starting March 27. It will also be shown in countries across South East Asia.